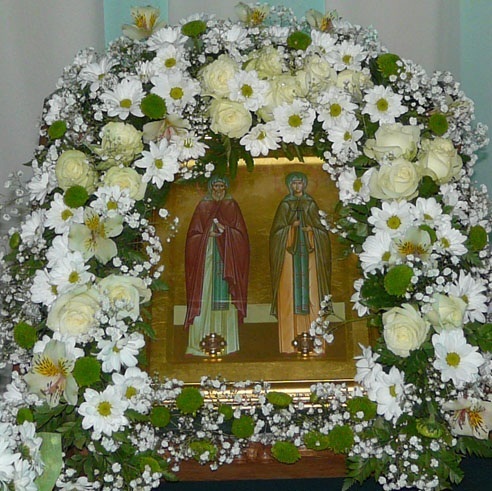 Since 2008, Russia has celebrated a new holiday: the Day of Family, Love, and Faithfulness on July 8, when the Church commemorates the Holy Right-Believing Prince Peter and Princess Fevronia of Murom. Below we offer excerpts from an interview given in 2009 by Svetlana Vladimirovna Medvedeva, wife of then-President (and current Prime Minister) Dmitri Medvedev, who heads the holiday’s organizing committee. This day succeeded in once again reminding everyone of what is truly meaningful in human relationships. The joy with which people accepted the holiday was the most inspiring thing of all. We were pleasantly surprised by the letters sent to our organizing committee, since we ourselves hadn’t anticipated such a response. It’s wonderful that family values and concepts such as love and faithfulness still mean a great deal to our compatriots. It was very important that we received broad support from the press and public organizations, which provided invaluable assistance. I hope that just such support will help make the Day of Family, Love, and Faithfulness a truly popular holiday: a day of joy in fatherhood and motherhood, of caring for one’s parents as well as for one’s friends and loved ones. We wanted to have another day on which we could get together with our family and friends, as it used to be. I’m confident that the Day of Family, Love, and Faithfulness is a holiday that looks towards the future. That is, this holiday is largely aimed at young people who haven’t yet gotten married. It would be wonderful if on July 8 young couples would spend the day together or along with their parents and grandparents, to thank them for their love and care, creating real family warmth. It goes without saying that this choice wasn’t accidental, since the story of Prince Peter and Princess Fevronia is one of faithfulness, devotion, and true love – love that is ready to sacrifice on behalf of a loved one. It is very important that this holiday be part of the forgotten tradition of our people, one that should be revived. In fact, betrothals used to take place on this day, with the marriage then taking place in church after the Apostles’ Fast. Although this day commemorates Orthodox saints, it has been willingly accepted by members of the other traditional religions of Russia and by those who are not religious. Our initiative received immediate and active support from the Interreligious Council of Russia. Every holiday can have a symbol. When thinking of what could be used to symbolize devotion, purity, and love, the thought of daisies came to me on its own, as they say. 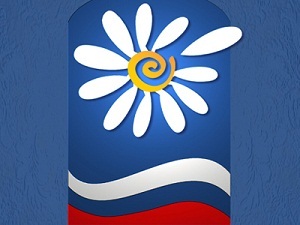 The daisy is a simple but simultaneously beautiful flower, one familiar to us all. It is a very dear, intimate, and homely symbol. Moreover, it is a symbol of summer, warmth, comfort, purity, and innocence. The problem, it seems to me, is that people today – and especially young people – don’t always understand things that were obvious to their ancestors. Family is primarily about sacrifice. Today this has become a pressing question: why sacrifice oneself for the sake of the other? Why should one prefer responsibility to momentary pleasures? It’s difficult to say how it came about that today we might not be ready for such sacrifice, even for the sake of love for another person; moreover, we often don’t understand the meaning of sacrifice. It’s essential that we look for a solution to this question. It seems to me, personally, that the break with traditions that took place last century has had a great deal to do with this. What, after all, is tradition? It is the living experience of previous generations, of our parents and grandparents. And this experience should be treated with respect and consideration. Everyone is free to choose how to live. But the older generation, it seems to me, should show what choices there are and where they lead. For instance, that if one decides when young against having a family for the sake of living a “life of freedom,” one might end up completely alone. One can come to understand such things only through the mistakes of others or through one’s own mistakes. Unfortunately, other people’s mistakes interest people less and less today; moreover, these people’s understanding and experience are also parts of the tradition, of traditional values, that many people today think are somehow unnecessary. I’m convinced that the preservation of the family is very important for our society. Without it, one of the most important problems in our country, that of demographics, will never be solved. Moreover, if we eventually give up on the family we can then go even further: to the abandonment of normal human relationships, replacing them with egoism and selfishness. Today it has become necessary to talk about principles of life that had once seemed integral to society, but of which people in the twenty-first century need to be constantly reminded. It’s perfectly clear – and we also need to talk with young people about this – that these principles of traditional morality aren’t inconsistent with the modern way of life and can only strengthen our society by helping it move forward. They don’t throw it backwards. No one can force people to change if they don’t already want to. No matter how great the efforts of the government and of social and religious organizations, no matter how much strength is allocated to supporting the family, if no one wants to start families, then all this effort will be of no use. That is why we’re focusing so much attention on the Day of Family, Love, and Faithfulness, since its name embodies the most important values. Whether we’ll have truly strong families and whether we’ll learn to be faithful and loyal to one another depends on each one of us, on our patience, our willingness, our readiness to understand each other – and on our love.